This beautiful completely remolded cape cod style home boasts an open floor plan that will not disappoint. The moment you walk in you feel welcomed by the neutral, modern finishes. This home has an abundance of upgrades in the last several years. Two Lennox Elite HVAC systems provide perfect temperature year round that you can control from the convenience of your smart phone. Enjoy the warm LED lighting throughout. The well appointed kitchen includes a walk-in pantry, farmhouse sink & leathered granite counter-tops. 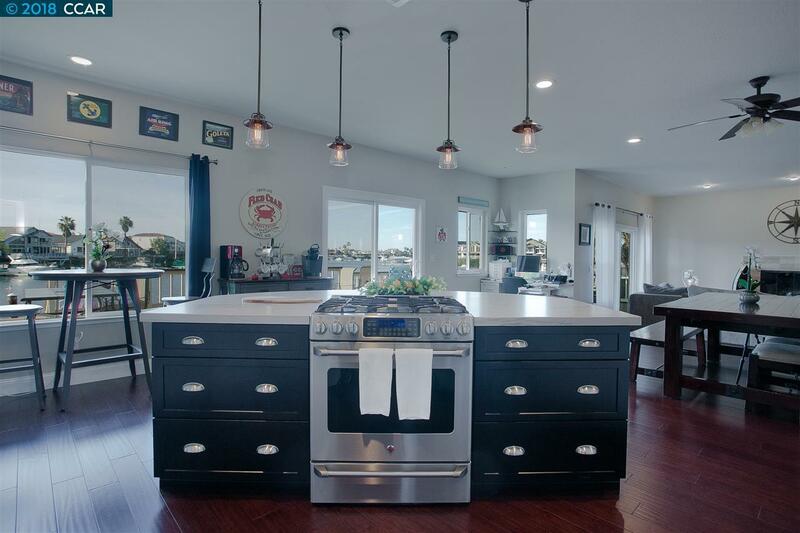 Prepare your favorite meals on the gas stove & double ovens Large central island is perfect for entertaining. Meticulously designed master bath has double vanities, double headed shower & over-sized soak tub.Large walk-in closet provides plenty of organization/storage. The over-sized 3 car garage with epoxy coated floors and cabinetry will have plenty of space for all your water toys.